I was lucky enough to represent Argonne with three other postdoc fellows to attend NPA 2018 in Cleveland. 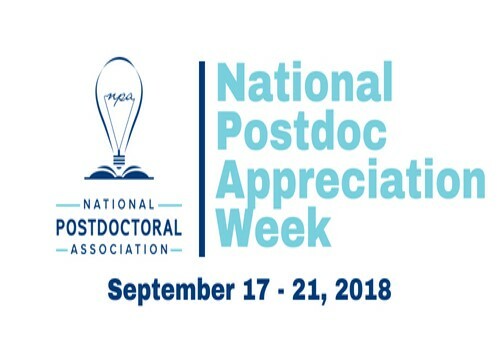 I planned to take this opportunity to meet with people who care about the development of postdocs and listen to their advice on the mindset, life, skills, pitfalls, and future for postdoctoral career development. There were many useful talks and workshops throughout the 3-day conference, and I am sharing my thoughts in three aspects. One very interesting workshop was presented in a “musical fairytale” style from Mary Mitchell, President of The Mitchell Organization and Josh Henkin, Career Counselor and Founder of STEM Career Services, revealed all the details we should pay attention to build professional relationships outside academia. The short “elevator pitch” is the starting point to build a good relationship, but the most important thing is having “follow-on” conversations in an organic way. And it is this organic discussion that lets people see your authenticity and glean the features and benefits from you, so they are willing to remain connected to you. This organic discussion cannot be prepared in advance but requires a lot of intelligence and customization to the people involved in the conversation. Personally, I believe these “elevator pitches” and “follow-on” organic discussions need constant awareness, practice, and reflection to the point that you behave very naturally in different settings with various people. 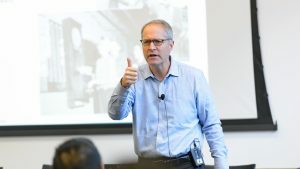 I am also interested in learning essential business strategy and concepts for postdocs leaving academia, as most postdocs immerse themselves in the lab and may lack the business mindset to prepare themselves for the “outside” world. The workshop “Essential Business Skills & Concepts for Postdocs Leaving Academia” by Jenny Rae Le Roux, Managing Director of Management Consulted, and Josh Henkin, CEO of STEM Career Services provided great insight into communicating with a business mindset. Two good suggestions to persuade people to take actions are don’t leave room for subjective interpretation, and know your purpose, otherwise you will lose your credentials. In the second part of this workshop, I learned a lot of business terms, such as revenue, cost, profit, depreciation and amortization, bottom-line growth, etc., to prepare myself to speak the language of business. We interacted with each other for practice and I was so impressed on how important it is to emphasize our transferrable skills from academia to industry. The last workshop I am going to share is to discuss and share thoughts on how to become your own boss of your career. This workshop, “Becoming the Boss of Your Career,” was presented by Brittany Carpenter, Postdoctoral Fellow and Erica Seibrasse, Postdoctoral Affairs Specialist from the Van Andel Institute. The main message I got from this interactive workshop is to make early plan and take initiative. It is you, your own boss, who should take the lead of yourself for your career development. The instructors also simulated the situation of how to discuss, pursue, and think of strategy to work with your boss. Again, the take home message here is, be your own boss of your career. For more on the lessons Li learned, download the presentations at the NPA Annual Meeting Archive. This past April, four Postdoctoral Appointees from across the Lab attended the 2018 National Postdoctoral Association Conference. 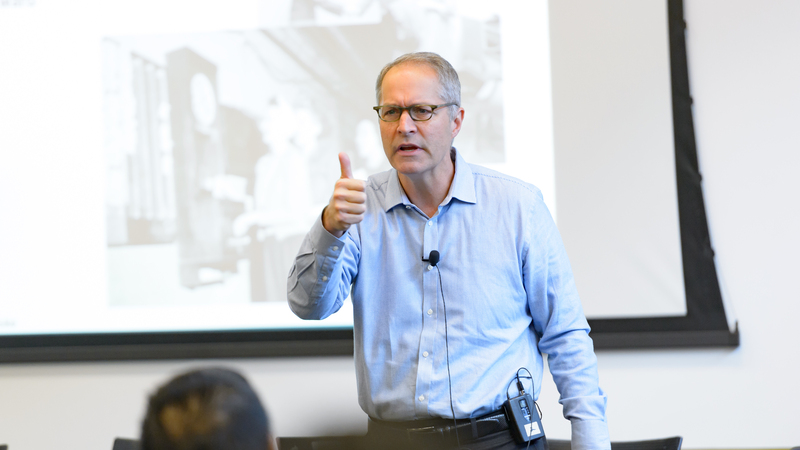 This yearly event brings together postdocs, postdoctoral program administrators and leaders invested in postdoctoral development to learn the latest in issues that impact postdocs and share ideas to help postdocs achieve career success. We asked each of the Argonne attendees to share what they learned from the conference with the broader Argonne community. 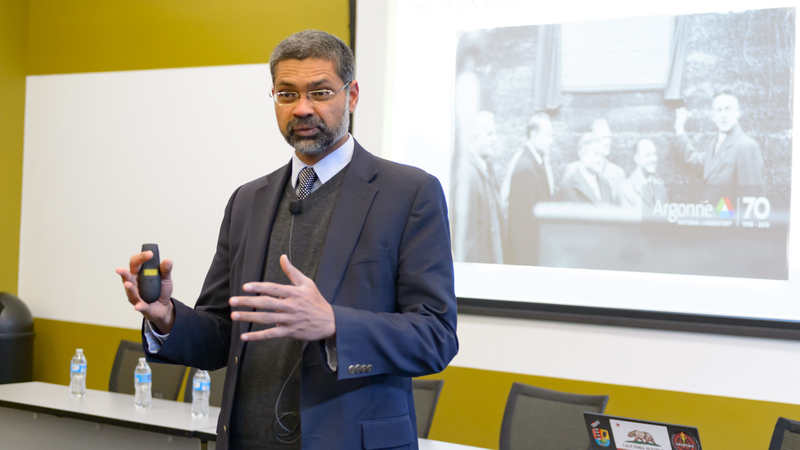 This week, Kalyan Mutyala (NST) talks about developing key skills such as storytelling and mentoring as you prepare for the next career phase. He also stresses the impact of not having access to good mentors on the postdoc experience. I was more than excited to attend a conference focused on professional development of postdocs for three reasons. First, to meet fellow postdocs at other institutes, universities and laboratories and learn about their experience. Second, learn about programs being offered at other organizations. Finally, to seek and learn more about the life of a career development professional either as an individual or representing an organization. Identifying key skills: Dr. Rafael E. Luna’s plenary talk emphasized the importance of identifying key skills (story telling for him) and leveraging it to create a career path. Story telling: Dramatizing and explaining in simple English in the form of a story is a critical skill that can be mastered with practice and a great resource to practice is shared in “why and how to tell a science story” session. Networking: One of the most dreaded event for any introverted postdoc is attending a networking event. A musical fairy tale on “how to network and build professional relationships” is the highlight of the conference. Outside academia: Importance of business strategy skills necessary to be successful in careers outside academia is a great resource. PDA/PSA: Strategies for increasing participation in PDA leadership and events followed by poster sessions helped me to understand what other organizations are doing to help postdocs. One big concern expressed by postdocs again and again during the conference is poor mentorship and being treated poorly by the PIs or Professors. Most of the universities and institutes are trying to develop a program for their postdocs to help them develop professionally and to deal with bad mentors. 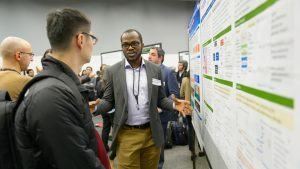 Finally, I realized that our lab (Argonne) has great resources for postdocs development and a unique mentorship program. I urge my fellow postdocs at Argonne to leverage the opportunities here for their professional development. 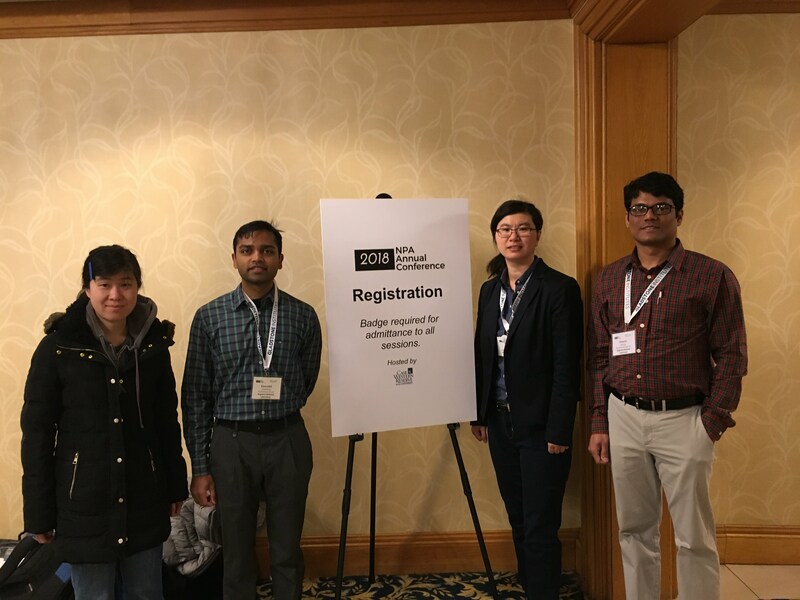 This past April, four Postdoctoral Appointees from across the Lab attended the 2018 National Postdoctoral Association Conference. 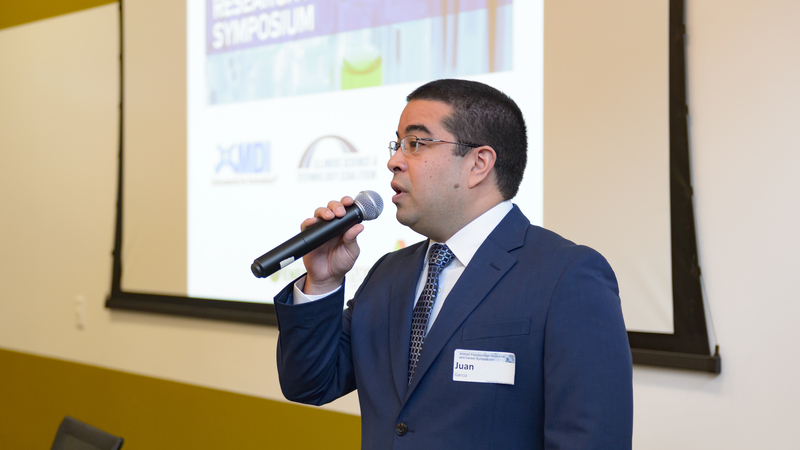 This yearly event brings together postdocs, postdoctoral program administrators and leaders invested in postdoctoral development to learn the latest in issues that impact postdocs and share ideas to help postdocs achieve career success. We asked each of the Argonne attendees to share what they learned from the conference with the broader Argonne community. This week, Lu Ma (XSD) talks about knowing yourself as a key step in advancing your career and important issues that postdocs face during periods of transition. What sessions/topics of workshops did you attend? What was the greatest benefit of attending the meeting? I learned professional skills, talked to different people with different backgrounds and know better about the national association at the meeting. 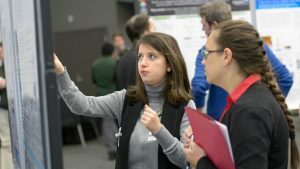 Most of the postdocs who attended the meeting were from the biomedical or cancer research area, which were different from most of the postdocs at Argonne. It’s really a nice experience to talk to them and share different perspectives. Argonne has a very good postdoc society, which provides a lot of opportunities for learning the skills for future career development. 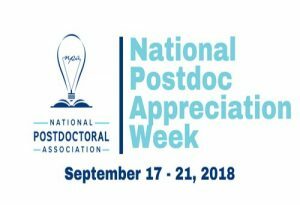 What are some lessons you learned from the workshops that would be beneficial for your fellow postdocs? The most impressive session for skill development for me at the meeting was the “think beyond your skill set and identify your unique value” session. During this session, the speaker taught a professional method that can help people to identify your unique personality and also how to explain that in an efficient way during the interview. That’s not only a skill that helps you prepare for the interview, but also a good method to know better about yourself. What are the concerns or issues faced by postdocs at other organizations? In some universities or institutes, there is no postdoc office there. The postdocs share the same offices for the graduate and undergraduate students. Especially for the international postdocs, the visa is different from the students, but they don’t know who should contact about it and the officers for the students were not family with it. Did you learn of a program that we should consider starting here? Yes. Some of the postdoc offices also provide the psychological (counseling) service to help the people to reduce stress and anxiety. The Postdoc period is a transition step, which means that postdocs face more challenges. I think we need a similar program to provide some advice on the stress relief. Postdoc Program note–Argonne postdocs, see this week’s PSA Newsletter for resources at the Lab relevant to stress management! Thanks, Lu, for sharing what you learned!